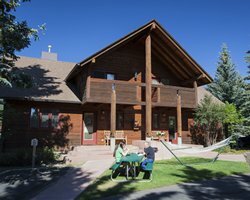 Located at the entrance to Rocky Mountain National Park, Rams Horn Village offers a vacation of scenic beauty and relaxation. View elks and deer from your front porch. Golfing, fishing, and various water sports are close by. Rent canoes, rowboats, and paddleboats at Lake Estes. On site, you'll enjoy the heated pool (summer only), hot tub, and children's play area. Winter activities include cross-country skiing, snowshoeing, ice-skating, and sleigh rides. About 40 miles from the resort, you will find downhill skiing and limited stakes casino gambling. 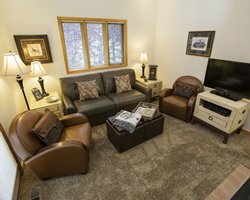 The resort boasts digital cable with high-speed Internet. resort. Smoking is NOT permitted. This Is A Non Smoking Resort, Smoking Is Not Permitted. Anticipated Dates. This Resort Is No Longer In Points. Owners Can Do Points For Deposit If They Want To. Confirmations Before Confirming This Resort.